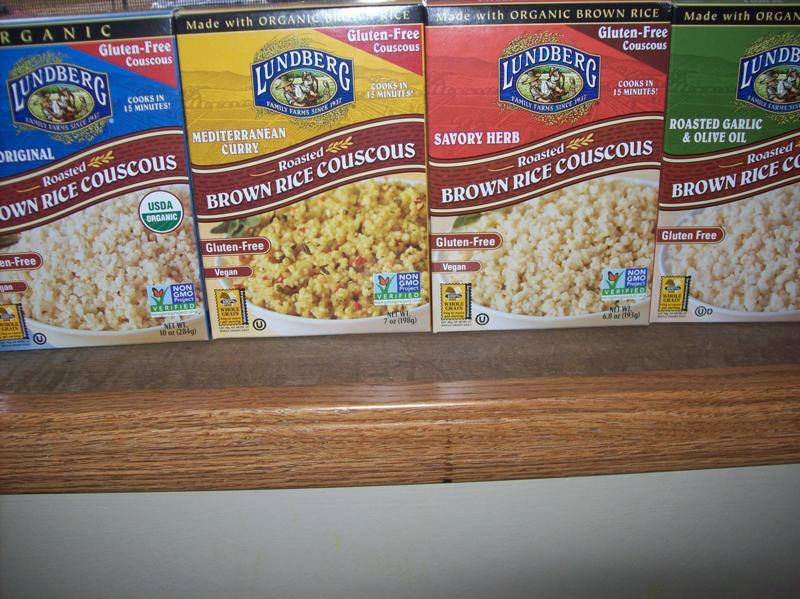 Lundberg Farms sent me four boxes of their new brown rice couscous. I was excited to try this out because I had never really has couscous before and was looking to make a rice type dish for dinner. I decided to make couscous jambalaya. The flavors that I got to try were original, curry, savory herb, and roasted garlic and olive oil. 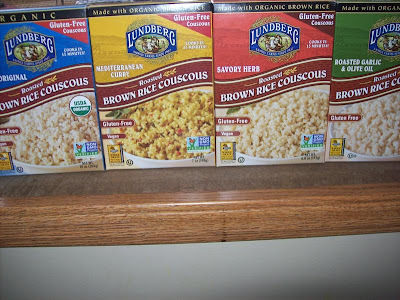 Here is what the company has to say about their couscous: "It comes in 4 delicious flavors and cooks up in just 15 minutes making it so convenient for those of us with busy schedules. You can use it simply as a side dish or add protein and veggies to create a one dish meal. It also is made with our Whole Grain brown rice which means it is good for you & also gluten-free for those with food sensitivities." 1. 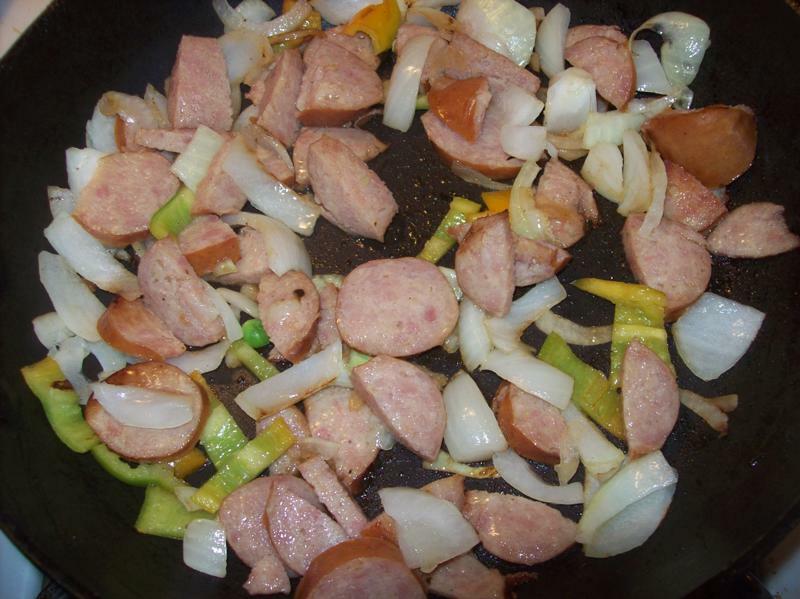 Stir fry chopped peppers, onions and sausage together for about 5 minutes. 2. Add water needed for couscous and allow to boil. Once water is boiling, add couscous, reduce to medium heat, and cover. 3. Check in about 8 minutes and add more water as needed. 4. 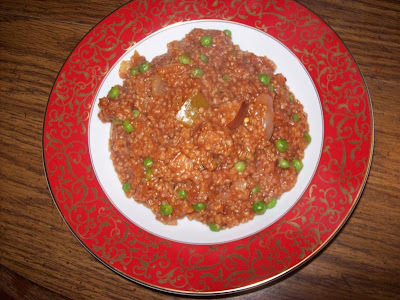 Once couscous is almost cooked, add tomato sauce, BBQ sauce, green peas, and spices. 5. Stir together, taste, and serve! This recipe came out amazing! The couscous tasted great in it and made a healthy alternative to rice. One serving has 150 calories, 3 grams of fiber, and 3 grams of protein which is good. I will definitely be using this couscous in the future! Thanks Lundberg Farms! I <3 cous cous. We eat it at least every other week. I don't have a lot of options to choose from here in utah...I'm on the lookout for this one. Following you back, thanks for stopping by!